To keep SAF-T-LOK off, move Red On/Off Lever UP. 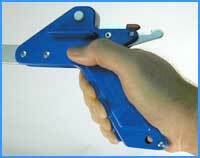 You may now use your EZ Reacher without the locking feature. To turn on the SAF-T-LOK, flip the Red On/Off Lever DOWN. 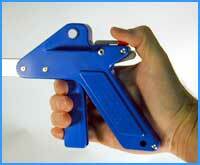 Your reacher is ready to grab and lock the next time you pull the trigger. 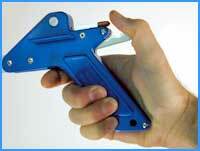 Pull trigger all the way into the handle until you have a firm grip on the object. You should hear one click for large objects and two clicks for small items. 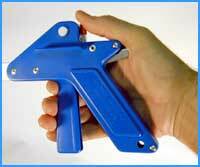 While holding the trigger in, push the locking bar down and slowly release the trigger and object. With a little practice you will learn how to do the entire operation naturally with only one hand.